Today has been such a mixed day. I have been filled with the deepest sadness and sorrow and yet I have felt at peace that Vic’s suffering is over. I miss her terribly. I want my child back! It is too hard trying to live without her. Dennis thank-you for your beautiful words. Thank you for your love and support over the past year. I am too teary to write so I shall post this beautiful poem for the world to read and enjoy. I love you my Angel Child. You have touched people all over the world. So many of my cyber friends have lost their children…these women and men have supported and guided me on my journey with Vic and held my hand in the early days of my grieving and heartache… They KNOW my pain. I found this poem on a bereavement site and would like to share (and dedicate) it to all the angel moms and dads out there. Thank you for your support, advice, encouragement and love. We share the title of grieving mother. Because we are Angel Moms and together we are strong! Today at times I felt as if I was suffocating. It felt as if the grief had grabbed me by the throat and was strangling life out of me. My heart physically ached. When Vic was 16 I married Danie. He became her dad and she embraced the fact that she now had siblings. Danie loved Vic with the same pure unconditional love that she had for her boys. Vic admired, respected and loved Danie for the wonderful dad that he was to her. Tonight I cannot help but think and remember all the love and nurturing that went into Vic’s life, caring for her, raising her, nursing her when she was sick and taking her to the doctors, teaching her all the things she needed to know to keep her safe in this crazy world, teaching her the art of shopping, watching her get married, fall pregnant – twice, survive 81 abdominal surgeries, fighting for her life every single day. I loved the mother that Vic was. Caring and nurturing. Tonight I remember Vic’s trademark – getting dressed in clothes every day before the boys came home from school, waking up to see them off to school every morning, arranging a party if she had one ounce of strength left! Vic appreciated seeing the light of day, getting out of bed, seeing the faces of her children. Every day she breathed was a day that mattered to her. 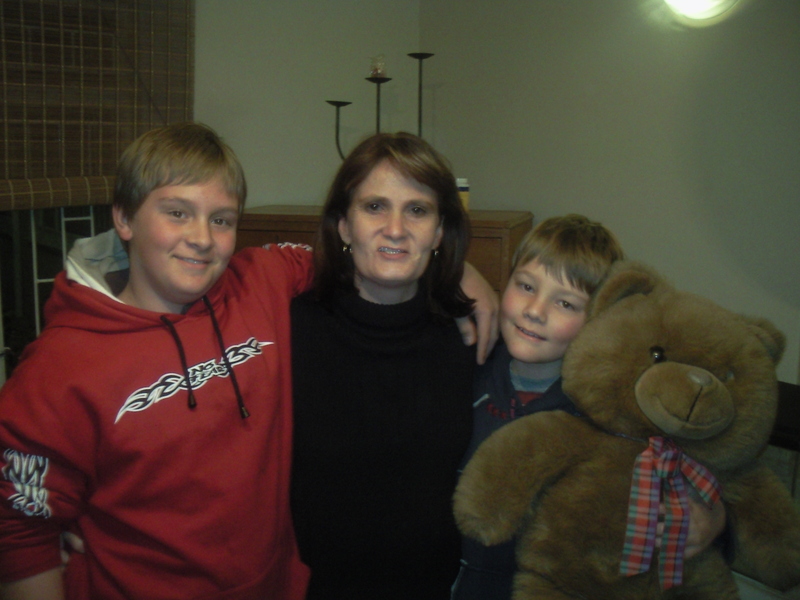 Every day she used to make memories with her sons, family and friends. Every day was one more than she had the day before. She loved driving her little car. (Vic was a terrible driver!). Vic was the take-out queen. She LOVED take-outs! The last meal she ate was a bit of a Steers hamburger…. Vic was a good, honest, compassionate, caring person who loved loyally and deeply! She was strong-willed and fought for what she wanted. She did not tolerate disloyalty in any form. Vic toured Egypt in a wheelchair and with a cane! Her biggest wish was to attend Jon-Daniel’s honours evening (4 days before she died) and to travel to Italy. Vic was brave! She NEVER complained. She accepted that pain was part of her life; that being ill was her life. She seldom questioned the cards she was dealt. She accepted her life stoically. I KNOW how hard it was for Vic to get out of bed. I know how easy it would have been for her to curl up and die very early in her life. She held on to life until the bitter end because giving up was not an option! I thought I was well prepared for this period in my life. I prayed so long that God would release her tortured little body from the hell she lived every day. I spent years waiting and wondering how it will be. I have been told that I, of all people, should have been prepared for her death. After all I lived with my child’s terminal diagnosis for 10 years. The short and the tall of the matter is that there is no way to be prepared. Researching the stages of death, the grieving process and even preparing her memorial service’s PowerPoint Presentation, in anticipation, could not prepare me for the pain that struck the second that my child died.. When I heard Vic’s breathing change I knew she was going. I knew that within minutes my child would be dead… Yet in the end, her death was still a terrible shock to me. How did it happen so quickly? Just as there are only some people we can really talk to about our children while they are alive, it seems that there are only a few people we can talk to about them once they have died. When you lose a child you lose so much more that you may have been prepared to lose. I have lost my identity as a mom. I am no longer a Mommy. I may be a back-up mom to four wonderful young people who love me dearly, unconditionally and deeply but I am no longer a “real Mommy”. Mother’s Day will come and go…The four kids will celebrate the women who gave birth to them. The boys will not have a mom to buy a gift for and I will not have a child to wish me. I do know everyone will try very hard to make it easier for me. But Vic will not be here to wish me a happy Mother’s Day. I have a hole in my heart. My heart physically aches. I want to die. Tonight, 21 days after my baby girl’s death I remember a love and bond that was beyond description. I will continue to breathe; I will honour my promises to my child; I will bring up her beautiful boys; I will cherish her memories; I will grieve for my child. She was worthy of my love – she is worthy of my tears. Sweetie I love you now and forever. I miss you Angle Child! Today I attended my first serious business meeting in almost three months. I have really neglected my business. Fortunately there was the Christmas recess, so it was not too bad. The series of very important meetings scheduled for the week of the 13th of January was pushed back to the first week in February once I realized that Vic was dying. I dreaded seeing my (all male) colleagues today. I have known some of them for 25 years and they all knew of Vic’s precarious health. I sat in my car outside the building and took deep breaths. These guys have never known me to show emotion. I have been stoic throughout Vic’s illness, many operations and setbacks. I was petrified that I would not be able to contain my grief! Lots of hugs and pats on the back dispersed with the sympathies…a hushed silence followed me into the boardroom. With a couple of minutes to spare before the start of the meeting the guys decided to go smoke. “It must be a relief for you to not have the responsibility of a sick child any more…” the one said through a cloud of smoke…..
“Yes” said another. “It has been many years”…. I did not have to dignify the insensitive remarks with a response as one of the female directors came out and hugged me. “I have no words for you” she said. We went into the board room and took our seats. Being our first meeting of the year the normal New Year pleasantries was exchanged. I coped beautifully. The meeting began and as soon as I started speaking I could hear a quiver in my voice! I was mortified! I shut up as quickly as possible and spent a couple of minutes trying to compose myself without drawing any attention to myself. Breathe in through my abdomen …exhale! Breathe in – exhale… My hands were shaking so I clutched my pen tightly! I put my hands on the boardroom table to steady them. For years I have NEVER switched off my cell phone in case Vic needed me. If I was away from home (or even when I was home) I would fall asleep in with my phone in my hand. 24/7 my phone was on. In a way it was liberating switching my phone off when the meeting started. When I got home this afternoon I sat reading through my old BBM messages from Vic. Tonight the boys went to their dad for dinner. 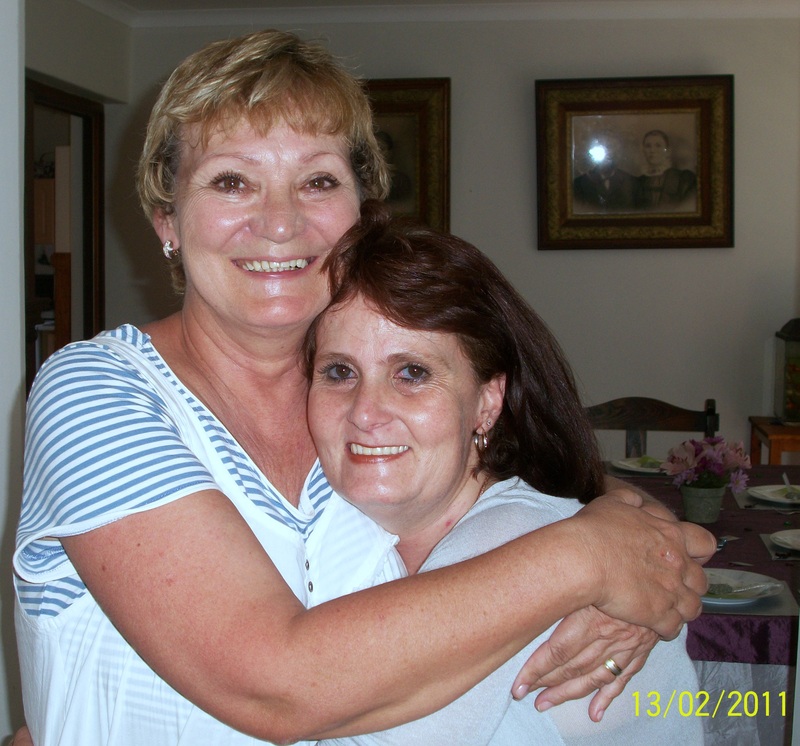 Danie and I popped in at a friend whose daughter-in-law was paralysed in a motorbike accident on the 8th of December. Her three beautiful granddaughters seem a little bewildered. Their mommy is in rehab and their daddy is staying with her 24/7. My friend became a substitute mommy for the girls. I have become a substitute mom to the boys again. It was strange going to dinner – just the two of us. Last night I covered schoolbooks… tomorrow morning I will take Jon-Daniel to the orthodontist to have his braces removed. Vic desperately wanted to live for the “event”. I hope she will be there in spirit. Tomorrow afternoon Jared and I will go and make an appointment for our motorbike learner licenses! I am battling to contain my grief. I am trying to find the time to research “teenage grief”. 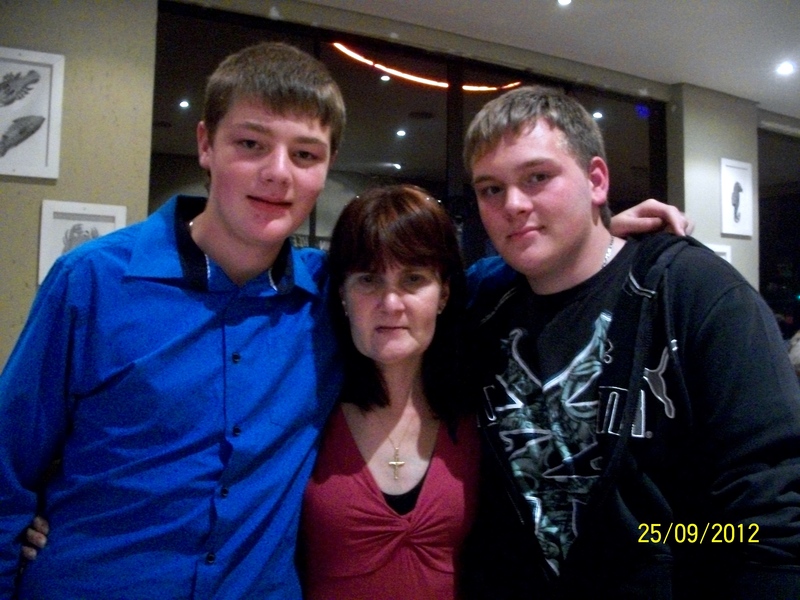 How do we know how to treat grieving teenage boys? What if we make mistakes? What if we fail Vic and her boys? I fear I am not spending enough time with the boys. I miss you angel child! 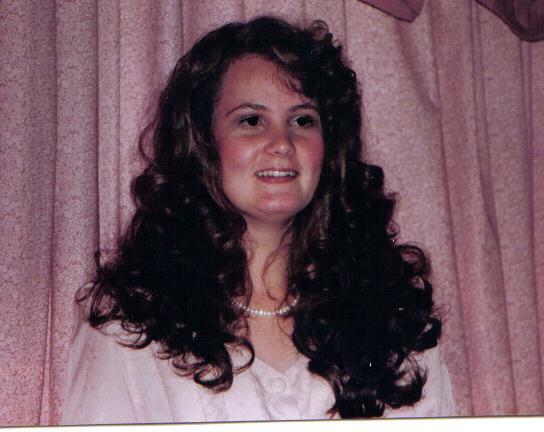 Posted on January 31, 2013 Categories Death, Death of a child, Family, Grief, Uncategorized, Vicky BruceTags death of a child, death of a daughter, death of a mother, Mother, teenage grief, Vomiting13 Comments on I miss you Angle Child!